Do you need SSL encryption if you don’t sell anything on your website? Many people think securing a website with SSL (SSL encryption) is necessary only if they’re selling products or services via their website and collecting credit card or payment information. What many website owners do not realize is that SSL encryption has other very important benefits for small business owners. 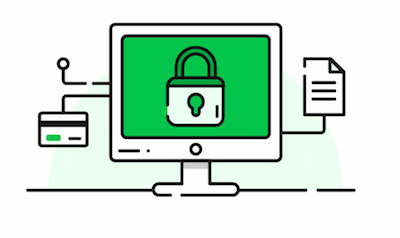 To understand the benefits of having an SSL certificate installed for your website, it helps to understand what SSL is and actually does. What exactly is SSL encryption? SSL, which stands for Secure Sockets Layer, is an encryption technology that creates a secure connection between your website’s server and your website visitor’s web browser. This allows for information to be protected during transmission between the two. Without SSL encryption any computer could intercept the transmission from your browser to the server. This includes the transmission of credit card numbers, usernames and passwords, and other sensitive information. Authentication: Confirms visitors are on the right website, yours, and builds trust. Data integrity: Customer data cannot be corrupted or modified. Encryption: Visitor activity cannot be intercepted while browsing your website. SSLs are issued by Certificate Authorities (CA). CAs are responsible for following predefined procedures for the issuance of SSL certificates. They are audited regularly and are responsible for keeping detailed records about the certificates that are issued. A standard SSL certificate will secure only one primary domain (known as the common name) For example, you could use a standard SSL to secure www.yourwebsite.com. If you want to secure one primary domain and all its subdomains — such as forums.yourwebsite.com, store.yourwebsite.com and members.yourwebsite.com — you will need what is called a Wildcard SSL. Now that we have all that techno-mumbo-jumbo out of the way, it’s easy to see why you would want SSL encryption if you have an eCommerce website to protect your customer’s sensitive data. That just makes sense. But what if you are not doing any eCommerce on your website? “Earn trust, earn trust, earn trust. Then you can worry about the rest." Onliners are more sophisticated than they used to be — and more informed. They now know to look for the telltale signs that a website is secured. SSL encryption does just that. Having an SSL certificate installed on your website not only encrypts your customer’s data transmission on your site, your SSL certificate also confirms you are the legitimate and verified owner of your website. Your SSL certificate is a confirmed credential that you are who you say you are. That builds trust! 1. You must show that you own the domain name you want to secure. Make sure your domain records are up-to-date and that they match the visible information on your website. 2. Documentation (bank statement, sales & use tax permit or utility bill, for example) is required that shows your company name and physical address. (For Extended Validation SSLs). 3. Items No. 1 and No. 2 should be an exact match. We all know want to achieve strong rankings in the SERPS (search engine results pages) — but it isn’t easy. With literally hundreds of different and evolving criteria used in Google’s algorithm, you want to use every available tool to your advantage. SSL encryption can help your website rank higher in search results. Encrypting your members’ data will enhance the trustworthiness of your website. Adding SSL encryption will encourage members to join, share and participate more because they will feel safer doing so. And it’s not just about protecting their login credentials — securing your membership site with an SSL certificate will protect the personal data that they may add to their membership profiles. You may not “do eCom,” but think about the sensitive information you might request from site members. Medical history? Specific personal contact or geographically precise information? With identity fraud now a realistic concern, installing an SSL certificate reflects that protecting your site visitors’ and customers’ data transfer is important to you. As with membership sites, having an SSL certificate in place to ensure that your contact form transmission is encrypted will encourage site visitors to reach out. This is especially true if you are asking for more detailed, personally identifiable information. 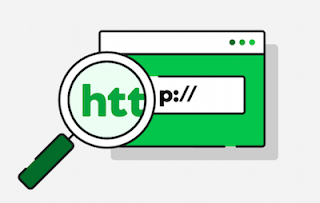 Seeing that HTTPS and green padlock will add to the trust perception and let potential contacts know their submission is protected and that you are not a fly-by-night operation. Certificate Authorities also offer Trust Seals that you can display on your site. In addition to the padlock and HTTPS in your browser location bar, these graphics give website visitors an additional visual indication that you have SSL encryption in place.